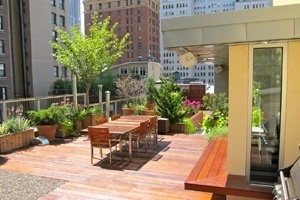 We are a full-service landscape design-build contractor that specializes in urban gardens. 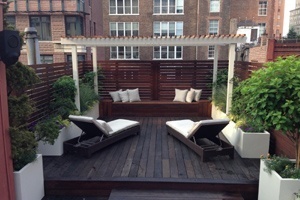 All Decked Out NYC offers personal, hands-on design, rapid installation and continued maintenance of our custom tailored garden designs at reasonable prices. 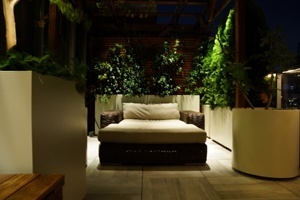 We delight in designing and installing custom outdoor spaces that will transform your space from the mundane to the sublime. 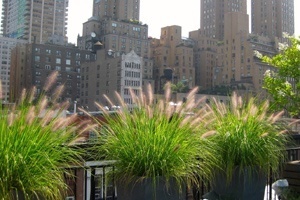 We have a proven record of successful urban garden installations, from the tiniest of terraces to the most expansive roofs. We are honest, organized, thorough and precise. We install once because we measure twice! 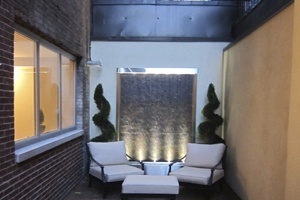 Let our seasoned professionals bring their knowledge, experience and skills to your outdoor space with custom designs and installation techniques that will optimize the beauty and value of your property. 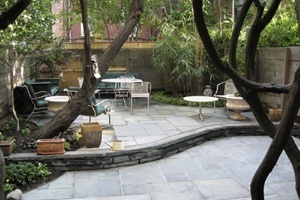 All Decked Out NYC provides low-maintenance garden design, backyard cleaning and renovation, masonry and patio stone installations. 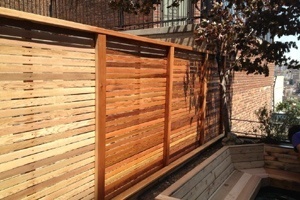 Besides building decks, we also build fences, gazebos, walls, planter boxes, trellises and pergolas. We build built-in furniture and outdoor kitchens We install drip irrigation systems, perform fall plantings, install pedestal paving stones, but most of all, we build hardwood and composite decks! 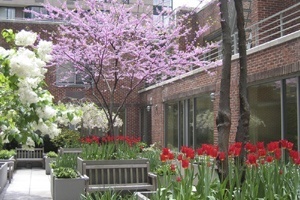 Give us a call and let us be your urban residential and commercial garden specialists. 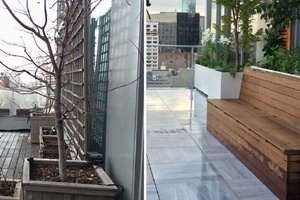 If you live in New York City and are looking to renovate your backyard patio or rooftop deck, contact our expert designers and landscape architects and request a free quote and let us design the rooftop deck or backyard patio of your dreams. 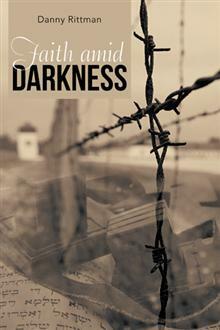 We also specialize in low-voltage lighting and our outdoor lighting designs are the best around. 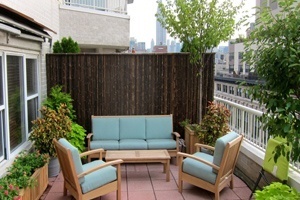 Outdoor deck and backyard patio construction and landscaping contractor. 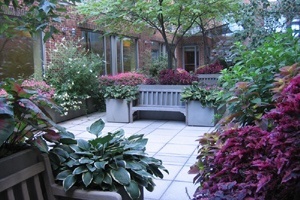 Our team of landscape architects and plant specialists have performed several miracle transformations in the field of urban gardening, changing unused backyards into vibrant natural Urbanscapes. Check out our recently added before and after pictures. If you are looking for backyard and patio ideas and for more examples of planters and container gardens that we build, check out our blog. "Power washed my entire terrace, lifted up all the deck tiles, cleaned out the membrane thoroughly and then did a magnificent oiling job. The work turned out to be a lot more than expected as they had to clear out a LOT of debris from under the decking to ensure that they membrane remained in good condition. They completed the job in 2 days (power washed/cleaned on day 1 then oiled on day 2). I couldn't believe how magnificent the deck came out. It looked so incredible... better than the day i had it installed. 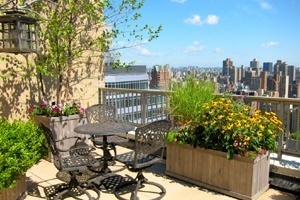 If that wasnt enough, they even pointed out issues with the terrace that were created by the installer. They backed me up when I spoke to the guy who originally did the install and convinced him to come back to do the repair. These guys know what they are doing and they are the best in the business. I HIGHLY recommend using them."